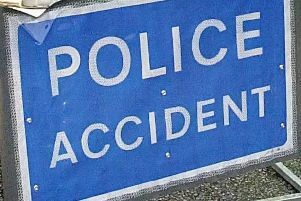 A man was rushed to hospital with ‘potentially serious injuries’ after a car hit a wall earlier this afternoon (May 17). Emergency services were called to the crash westbound on the B2139 in Amberley at about 1.10pm. The collision took place near Houghton Bridge and created heavy traffic in the area. An ambulance and a paramedic car were sent to the scene. A spokesman for the ambulance service said a man, who was driving the car, suffered ‘potentially serious injuries’ and was taken to Southampton General Hospital for treatment.